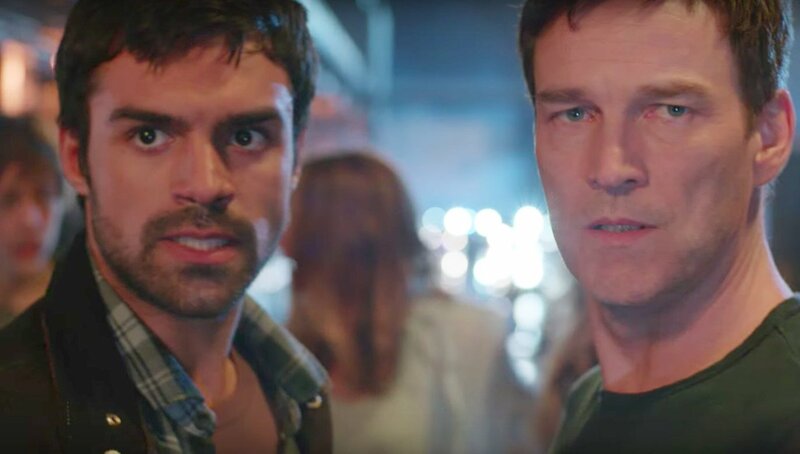 Fox has released the trailer for it’s new series “Gifted” and it looks good! The action looks good and I really like the story idea of a family on the run from the government. Sort of reminiscent of the old Incredible Hulk storylines with Bill Bixby and Lou Ferrigno. Producer Lauren Schuler Donner revealed on Twitter a cast photo and the tentative name of the new Fox/X-men TV series she is working on. Per Cosmicbooknews, the series is titled “Gifted” and will focus on two ordinary parents that discover their children have developed mutant powers. They are forced to go on the run from the government and join forces with an underground group of mutants. The solid cast will be headed by former True Blood lead actor Stephen Moyer as the father, Angel & Alias actress Amy Acker as his wife and Natalie Alyn Lind (best known as Silver St. Cloud on Gotham) as their daughter. X-Men movie director Bryan Singer will also be directing the pilot episode. I was worried when I first heard about this series just because there seems to be an over saturation of comic related TV shows currently airing or in development. But this sounds like a solid premise with a great cast and a talented crew behind the camera.